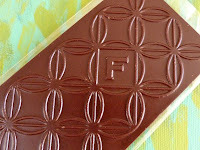 Today was Day #6 of Crunchy Chocolate Theme Week. 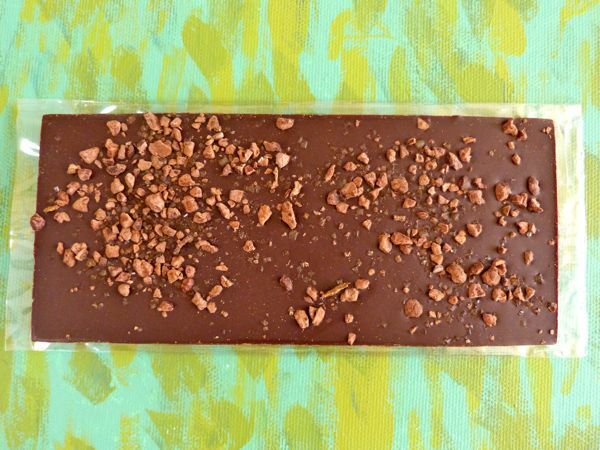 This week's batch of crunch-themed chocolates have contained bits of toffee, cookie pieces, and other texture-adding ingredients. 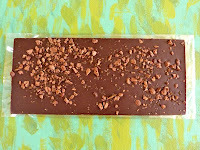 Yesterday's Patric Chocolate"Rio Crunch" bar and today's Rustic Crunch bar from Fruition Chocolate (Shokan, NY) -- both from new American bean-to-bar makers -- were studded with crunchy cacao nibs. 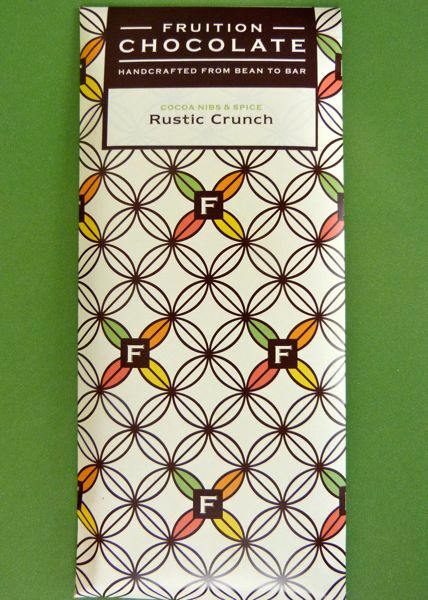 Today's 70% (single origin Peru) Fruition Chocolate bar also contained tiny crystals of Demerara cane sugar, pieces of whole vanilla beans from Madagascar and Vietnamese cinnamon -- although the latter two ingredients contributed very subtle, background flavor. Over time, and perhaps more frequently during bouts of warm weather, the tiny crystals of sugar, which may entrance some, "melt" into the background and become less prominent in the texture and flavor profile -- a good thing if you don't want microbursts of sweet to dominate cacao notes.